You certainly don’t have to be crazy to visit the brand new Quackpot Casino, but you might be a little mad if you don’t check it out. The casino is built on software from Cozy Games. Members will find a fantastic selection of slots such as Brittonaire, Cupid’s Arrow and Monkey Business. There is also a wide range of casino games such as Roulette, Blackjack and Baccarat as well as Keno games and Video Poker. The site also features a large selection of scratch cards. Perhaps one of the best features is that the site is fully mobile compatible so members can play from the majority of smartphones and tablets. 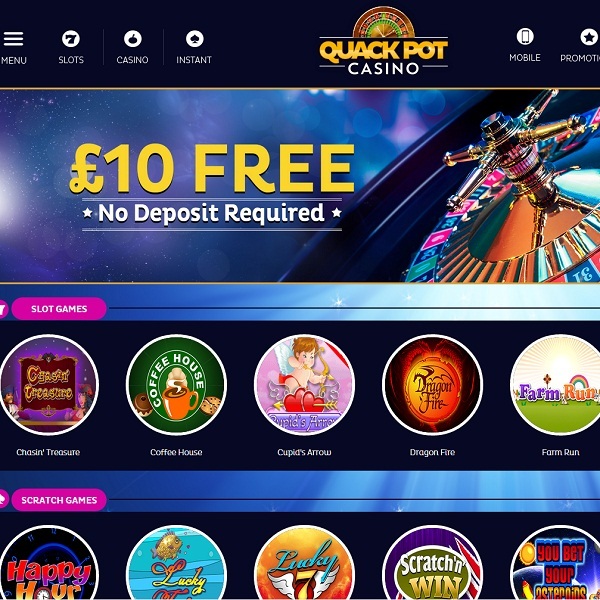 New members of Quackpot Casino can enjoy a £10 free no deposit welcome bonus. There is then a 100% first deposit bonus of up to £500, a 100% second deposit of up to £500 and further reload deposit bonuses.